In Berlin you will get prescription drugs only in licensed pharmacies in order to prevent any drug misuse. Luckily there is always a pharmacy close by in Berlin no matter where you live. But sometimes it can be tricky to find a pharmacy in Berlin that is open 24/7 or on Sundays. In general pharmacies in Berlin are open from Monday to Saturday from around 9 am until 6 pm. 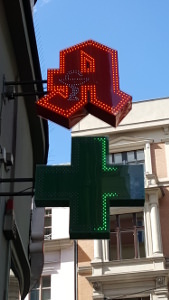 Of course some pharmacies might open earlier while others close later, but within this time-frame you are quite save to find a pharmacy being open. In case you need to find the nearest pharmacy quickly there is no easier way to do so than on a map. 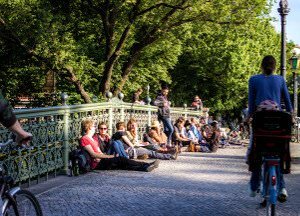 Find the nearest pharmacy in Berlin here or click on the link “Größere Karte ansehen” if you need to find pharmacies in a different area of Berlin. 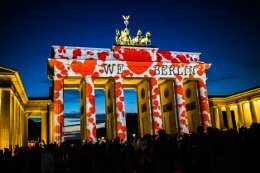 To ensure that you have access to medication in urgent cases around the clock there is always one pharmacy for each neighborhood in Berlin that has to be open on emergency service. 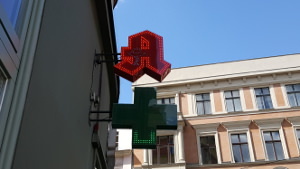 To find out which pharmacy is open for emergencies in Berlin check out the official website of the Apothekerkammer Berlin. Just fill in today’s date and where you live and you will find the closest pharmacy that is open. You will thank the German health system once you were in urgent need of medication. Somehow you always get sick on weekends or shortly after business hours, don’t you? As so many other things also pharmacies now offer their services online. Non prescription drugs can be order online for mostly far cheaper prices than in traditional pharmacies. E.g. DocMorris has become the biggest online pharmacy in Europe and is a real alternative to normal pharmacies in case you don’t need your medication straight away. If you move to Berlin and you want to stock up your medication cabinet at home and save some money check out the prices online first before buying them for more than you should in a traditional pharmacy. Even if you are in need of prescription drugs you can save yourself the hassle of finding the nearest pharmacy and just order them online. All you need to do is send your prescription (completely free of charge) via mail to the online pharmacy and then you can order your prescription drugs conveniently online from home. Once you have taken care of finding a pharmacy near you we can offer you some information on where to find a taxi to get there.